On June 30th 2015, time stood still. Well for 1 second, The leap second. Clocks went atomic in 1967 making human time keeping independent of the rotation of the earth. The downside of this, is that the rotation of the earth is slowing down and the atomic clocks are not. This then leads to an event like yesterday, where scientists add a second to get everything in sync. 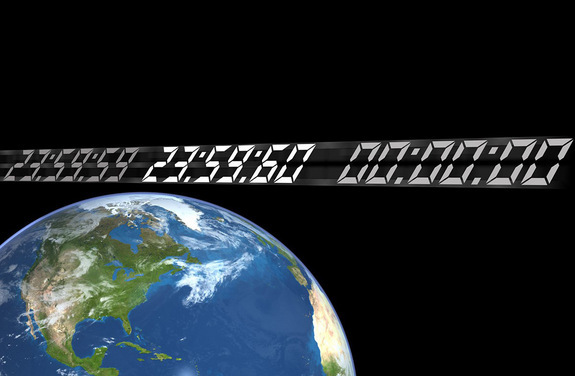 The addition of the leap second has been done 25 times since 1972 including in 2012. Yesterday, the time read 23:59:60 before ticking back to 00:00:00. The 2012 addition caused serious glitches to the internet with Reddit, Foursquare, Gawker, LinkedIn, and a host of other sites crashing. Most companies took various measures to avert such a situation with some like Google adopting a leap smasher technique aimed at avoiding any issues with the addition of the second. Google engineers split the second into milliseconds and spread it throughout the day in a bid to avert server meltdowns. Even with such critical measures taken by Google and others, some of Android and Twitter users complained of glitches as the second was added. In the case of Twitter, the social network was confused about what time the tweets were actually sent. Some tweets from minutes ago were shown as sent from a day ago. Android users on the other hand complained that dates and notifications had been thrown into disarray with watches and phones advancing the dates to July 1st several hours before time. Major websites including Instagram, Pinterest, Netflix and recently Launched Music streaming service Apple Music all experienced outage for around 40 minutes. Amazon’s Amazon Web service for their cloud needs faced problems accessing the service. The outage was not as huge as predicted. The United States wants the leap seconds abandoned claiming they affect communication and navigation. This is expected to be deliberated upon at the World Radio-communication Conference in November 2015.